Poor decisions in the United States affected the entire world. On the page Good Intentions, Bad Policy, Worse Results, I present my assessment of how we got to this pass, based largely on Gary Taubes and Nina Teicholz’ books. My perspective is quite Americentric, given my upbringing and experiences. How do people in other parts of the world interpret what was done here to enshrine low fat diets as gospel with the untended consequence of high sugar? Turns out some of them aren’t pleased. Writing in the Guardian, Ian Leslie describes how the American Ancel Keys ridiculed and caused the suppression of good science being done by British researcher John Yudkin in the 1950s and 60s. 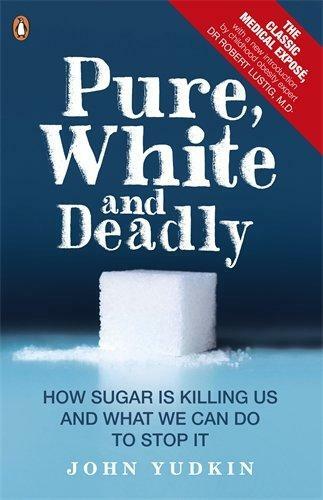 In The Sugar Conspiracy, Leslie recounts how, as Keys amassed power and influence, he actively worked to discredit the work he considered competition to his own fixation on dietary fat, without any attempt to assess the underlying science of the competing work. Yudkin’s book, Pure, White, and Deadly, published in 1972, summarized his years of research. It was buried by a nutrition science community turned hostile, effectively ending his academic career. When Yudkin testified in front of Senator George McGovern’s committee in 1973, McGovern rejected the careful scientist’s research without a second thought because it didn’t match McGovern’s biases. What this article really helped me understand is just how attached researchers in a field of science can become to the paradigm of the moment, regardless of validity as new data emerges. Says Leslie, “This makes scientific inquiry prone to the eternal rules of human social life: deference to the charismatic, herding towards majority opinion, punishment for deviance, and intense discomfort with admitting to error.” He cites a study of research progress that found when premature deaths occurred in a field, papers published by younger researchers with new ideas in that field increased. He also makes an interesting point that the Keys and his cohorts were epidemiologists, not endocrinologists. In other words, their training was in a field of applied population level data gathering and statistical analysis, not in underlying mechanisms of normal biological functions. The calories in/out model of body composition (weight) maintenance is a good example. It has no grounding in metabolic mechanisms or comparative biology, where it’s apparent that on their species normal diets all animals, including humans, maintain a balanced body composition. Australian scientist turned science journalist Dr. Maryanne Demasi created two controversial programs for the science program Catalyst. The first one, Heart of the Matter Part I Dietary Villains, presents her own interpretation of how work on preventing heart disease in America affected medical practice in Australia. She interviews a number of experts, including key members of the Australian medical establishment. There are interesting clips of Ancel Keys, George McGovern, and others, bringing history to life. It gave me a stronger sense of just how intent people were in the second half of the 20th Century on trying to prevent heart disease, with a narrow focus and limited measurement tools. The larger picture of health and the normal function of processes in our bodies and brains wasn’t adequately examined. I think Heart of the Matter Part 2, Cholesterol Drug War was the more controversial because it was strongly critical of the use of statin drugs to lower cholesterol. This despite a disclaimer at the start that the segment shouldn’t be considered medical advise. The first segment, Dietary Villains, is consistent with what I understood about the history and science. I’m less conversant on the topics in Part 2. Watch both segments and form your own opinions.